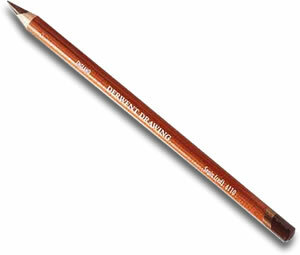 Derwent Drawing Pencils are known as the 'fur and feathers' range because they are perfect for wildlife studies and portraits. The extra thick, creamy textured core allows for great blending and subtle tonal transitions. The depth and richness of the colours along with a slightly waxy consistency means they are also excellent for landscapes and any dramatic or atmospheric compositions. Available in 24 velvety colours.